WASHINGTON -- More than 3 million spill-proof cups for children between 4 and 12 months old are being recalled by Mayborn USA because of the risk of mold that could cause sickness. Ingestion of the mold can cause gastrointestinal symptoms and infections in those with compromised immune systems. Mayborn has received more than 3,000 reports of mold in the removable, one-piece, opaque valve of the cups, including 68 reports of children experiencing diarrhea, vomiting or other symptoms associated with drinking from a cup with mold in the valve. 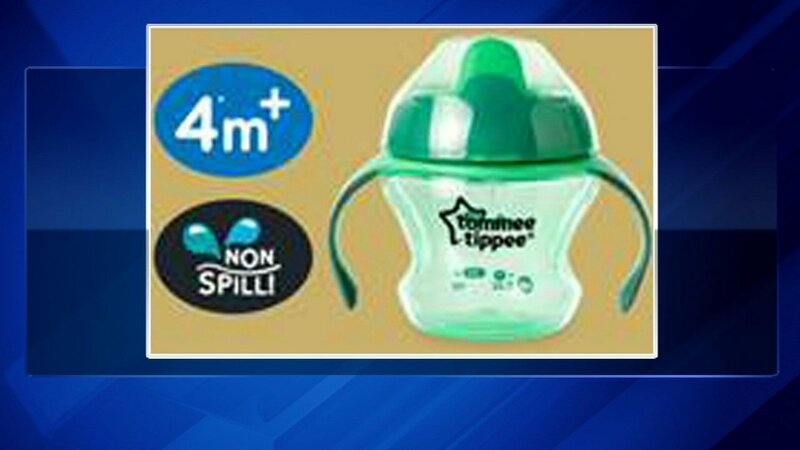 This recall involves five types of spill-proof Tommee Tippee Sippee cups, all with a removable, one-piece white valve. Consumers should stop using them and contact Mayborn for a free replacement. For more information, visit www.tommeetippee.us or call toll-free at 877-248-6922.